If you’ve been waiting for it to air, you may have wondered how to watch DC’s Legends of Tomorrow Season 4 online. Don’t worry, we’ve got you covered. This article will explore how to watch Legends of Tomorrow online in the U.S. or abroad in the UK, Canada, Australia, or just about anywhere else. The best way to watch the new season of Legends of Tomorrow in the U.S. is on the official website for The CW. If you’re abroad (outside the U.S.) the best VPN to use is Express VPN. DC’s Legends of Tomorrow Season 4 is set to premiere on Monday, October 22, at 9 p.m. EST. After the premiere, new episodes will air each Monday. The number of episodes for this season has not yet been announced, but previous seasons have had 16-18 episodes. So a similar number will probably air this season. 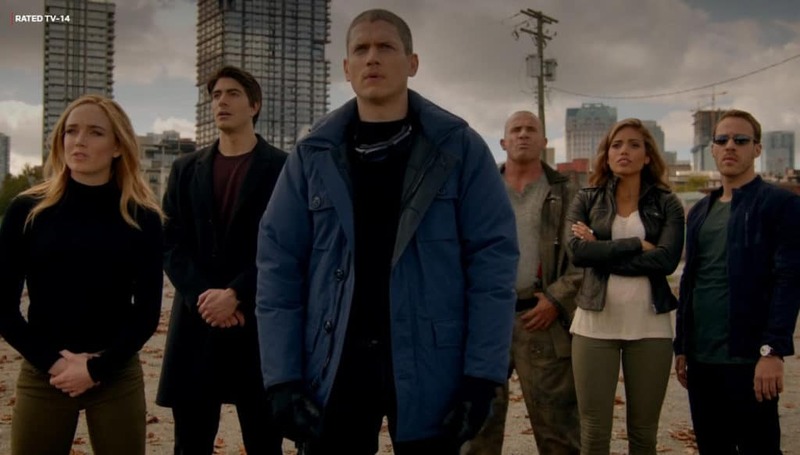 In this article, we will explore official sources for live streaming Legends of Tomorrow. There will also be unofficial (pirated) streams available, but we don’t recommend using these. Unofficial streams tend to have low picture quality and are often offline. And Legends of Tomorrow is a free show, so unofficial streams aren’t really needed anyway. There are a lot of risks to watching free television online, even if you only use official sources. Your ISP can log everything that you watch and sell the information to advertisers (as long as it updates its terms of service ahead of time). If you live outside the U.S., you can be blocked from watching content on U.S. websites, including episodes of Legends of Tomorrow. If you use public WiFi, hackers can snoop on you and gather private information, such as website logins and passwords. Overall, using the Internet to stream video or anything else can open you up to violations of your privacy. The best way to deal with this problem is to use a VPN whenever you are connected to the Internet. A VPN will encrypt the data you send to and from websites, making it very difficult for hackers or your ISP to know what you are doing. It will also hide your location from websites in other countries, making it easy to bypass geographic content blocks so that you can watch programs on foreign websites. We recommend ExpressVPN. It has servers in over 90 countries and keeps no logs. And it has a 30-day money-back guarantee so that you can try it out risk-free. BEST FOR STREAMING:ExpressVPN is our top pick Choose ExpressVPN’s annual plan to save 49% and get an extra three months coverage free. Read our full review of ExpressVPN for more info. Legends of Tomorrow airs on The CW, a free, over-the-air broadcast network in the U.S. Every new episode that airs on The CW is also posted to their official website, CWTV.com, at 11 p.m. EST on the night it airs. If you are located in the U.S., this means you can watch new episodes of Legends of Tomorrow for free by simply opening a browser, navigating to the site, and clicking on the latest episode. Unfortunately, though, if you are located outside of the U.S., you will be greeted with an error message when you try to do this. This is because CWTV.com will recognize that your IP address is from outside the U.S. As a result, you will be blocked from watching Legends of Tomorrow online. Choose a VPN provider. We mentioned ExpressVPN above, but NordVPN and Cyberghost are also good options. Go to the VPN provider’s website and download the latest version of its software. Make sure you get the correct file for your operating system. To make sure you don’t have to wait to see new episodes, we recommend trying out this method on other shows or early episodes before the new ones are posted. This way, you can change servers or contact customer service ahead of time if something goes wrong. In addition to being available on The CW’s official website, Legends of Tomorrow can also be found in a few other places. Here is a list of sites you can stream Legends of Tomorrow from in the US, Canada, UK, and Australia. New episodes of Legends of Tomorrow will air on broadcast television at 9 p.m. every Monday, two hours before they will be posted to CWTV.com. If you are located in the U.S. and have an antenna, cable, or satellite service, this means you can potentially watch the show when it first airs, instead of having to wait. However, these aren’t the only ways to watch the show live. Another option is to sign up for USTVnow, a free, over-the-top TV service aimed at U.S. military stationed overseas. It offers all of the U.S. broadcast channels in standard-definition, including The CW. And all you need to sign up for it is a name and email address. All three of these services offer a free trial for at least seven days. So if you won’t be able to pay the subscription fee for a few days, you can still sign up now to keep from missing the latest episode. If you are located in Canada, you can watch new episodes of DC’s Legends of Tomorrow on USTVnow at 9 p.m. EST every Monday in standard definition. Since USTVnow is aimed at U.S. military stationed overseas, it usually does not geoblock its content. Legends of Tomorrow will also be livestreamed in HD on Space.ca at the same time it is broadcast in the U.S. You will need a TV provider subscription to get access to the Space.ca livestream. Fans of Legends of Tomorrow who live in the UK can watch it live on The CW in SD using USTVnow. If you miss an episode when it first airs in the U.S., it will be broadcast on Sky One in the UK the Wednesday of the following week. For example, the premiere airs Monday, October 22 on The CW in the U.S. and Wednesday, October 31 on Sky One in the UK. Sky One programming can be viewed online through the Now TV Entertainment Pass for £7.99/month. Legends of Tomorrow will be broadcast on Sky One in high-definition. If you are located in Australia, you can catch Legends of Tomorrow every Tuesday at 12 noon AEDT (Monday night at 9 p.m. EST) on The CW on USTVnow. This is a standard definition stream. If you’d like access to a high-definition stream, you can see one on Foxtel 8 through the Foxtel GO website or app at the same time it airs in the U.S. A subscription to Foxtel costs $39 AUD/month for the least expensive package. Can I stream Legends of Tomorrow with a free VPN? We do not recommend using a free VPN. While some free VPNs may allow you to get around geographic content blocks temporarily, they often will not work well enough for buffer-free HD streaming. Some will even buffer with SD streams. Free VPNs often have thousands of users trying to connect to outdated infrastructure. This leads to server outages and dropped signals. Additionally, most free VPNs will limit your data usage. The data limit is often far below what you’d need to stream either SD or HD video. In addition, they often keep logs of users’ activities, leading to invasions of privacy that VPNs are supposed to eliminate. To protect your privacy, we recommend using a VPN with a record of protecting users’ privacy. For a detailed list of VPNs that are great for streaming video, check out our guide to VPNs. What is DC’s Legends of Tomorrow? Legends of Tomorrow is a superhero television series developed by Marc Guggenheim, Phil Klemmer, Andrew Kreisberg, and Greg Berlanti. The show is based on characters from DC comics and takes place in the “Arrowverse,” a shared fictional universe that incorporates characters from The CW shows Arrow, The Flash, Vixen, Supergirl, and others. It stars Arthur Darvill (Doctor Who’s “Rory Williams”) as Rip Hunter, a time-traveling adventurer and leader of the group of heroes; Caity Lotz (MTV’s Death Valley) as an assassin and vigilante; Wentworth Miller and Dominic Purcell (from Prison Break fame) as two thieves who have no superpowers; and Brandon Routh (the star of 2006’s Superman) as a scientist/engineer who created a mechanical suit that allows him to change size. The plot of the show revolves around the threat of an evil immortal being named Vandal Savage, who intends to destroy the world. The heroes travel through time, visiting Ancient Egypt, the Soviet Union, the U.S. in the 1970’s, and other exotic places and times while chasing and fighting this evil being. In addition to the time-travel aspect of the show, many viewers enjoy the witty dialogue and fast-paced action in DC’s Legends of Tomorrow. If you’ve never seen the show before and want to catch up with the present season, the pilot episode and most of the episodes from previous seasons are available on Netflix, as well as CraveTV in Canada.